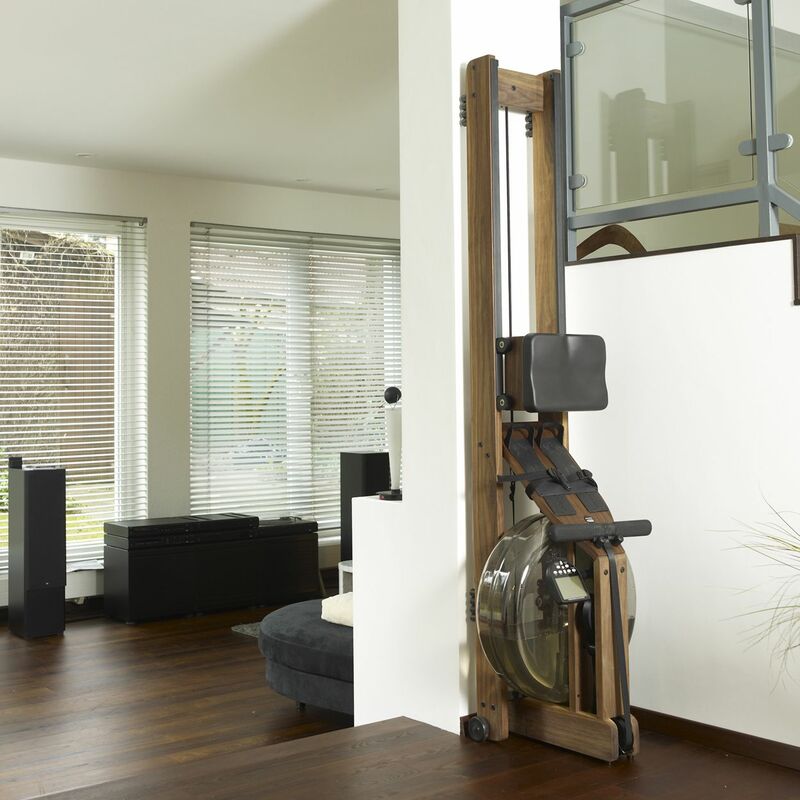 The Classic is a smooth, silent, stylish and easy to store rower. 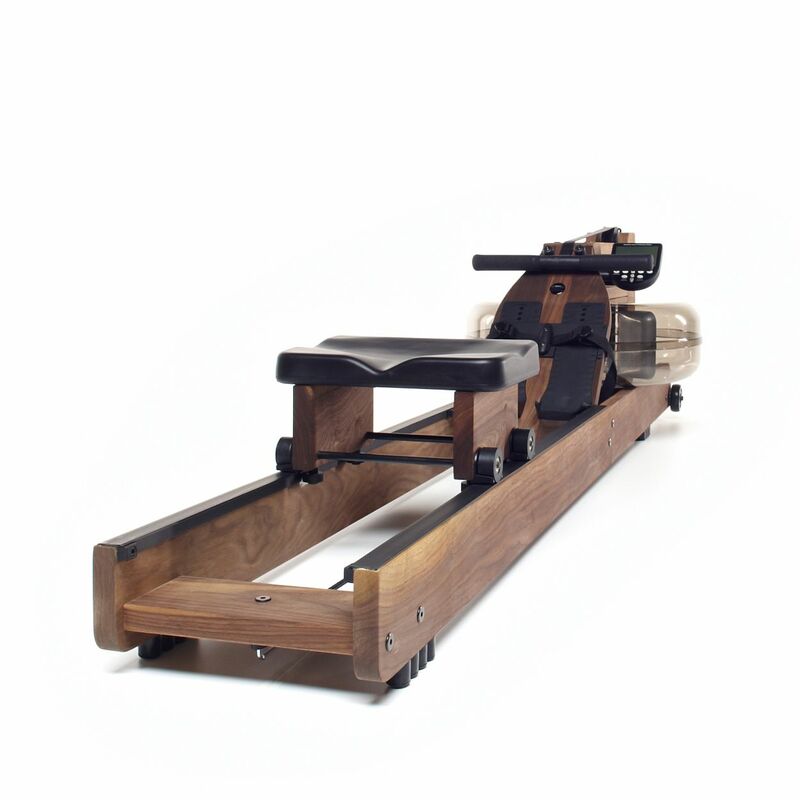 As with other models, the WaterRower classic rowing machine offers a total body workout. As well as having won a host of design awards, this model has been carefully hand crafted from solid American black walnut wood which is extremely hard-wearing. The patented WaterFlyWheel resistance ensures you're getting a smooth and natural "on-water" experience. You also benefit from the S4 performance monitor. The WaterRower Classic provides you with a low impact 'all body' workout making it suitable for all ages and it is incredibly smooth and quiet. It also has a small footprint when you store it upright. 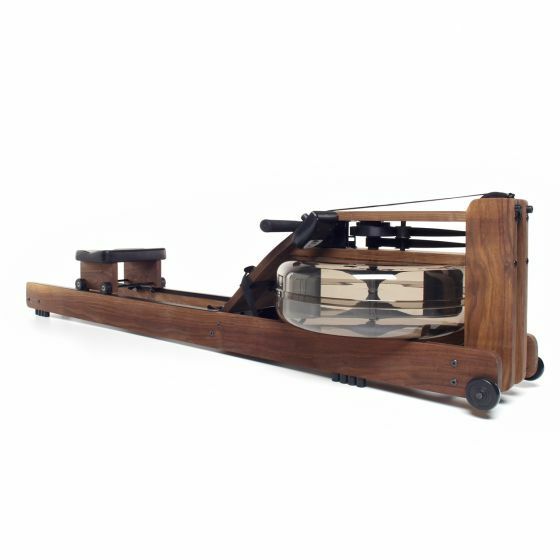 This piece of gym equipment is hand-crafted using the very best American black walnut. The WaterRower Classic has each wooden segment finished in Danish oil to extends it's life while also adding to the design aesthetics. 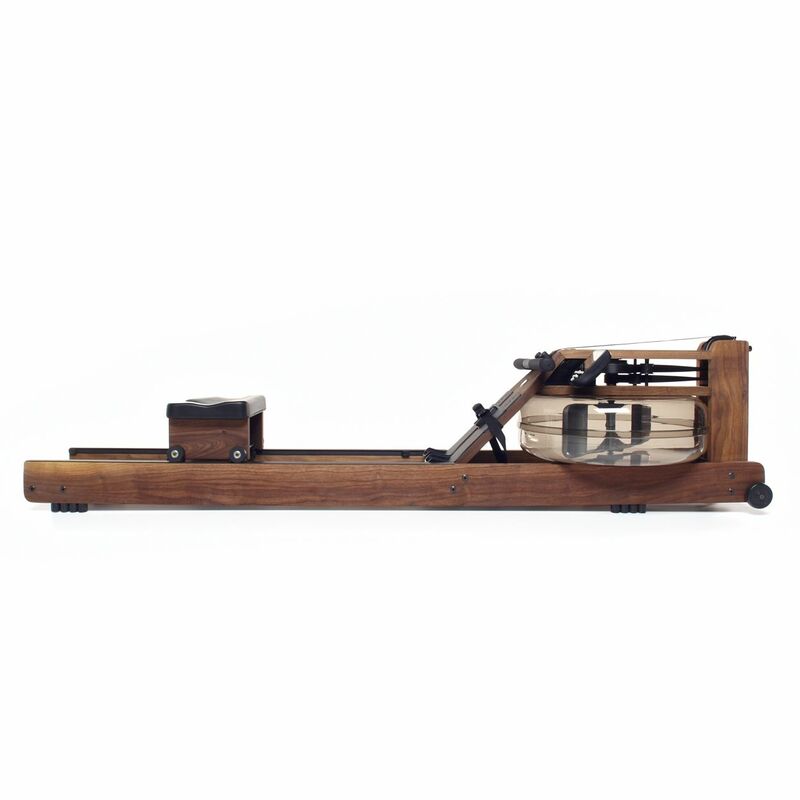 The walnut also absorbs the vibrations that are created when you use a rowing machine and therefore this model produces minimal sounds. 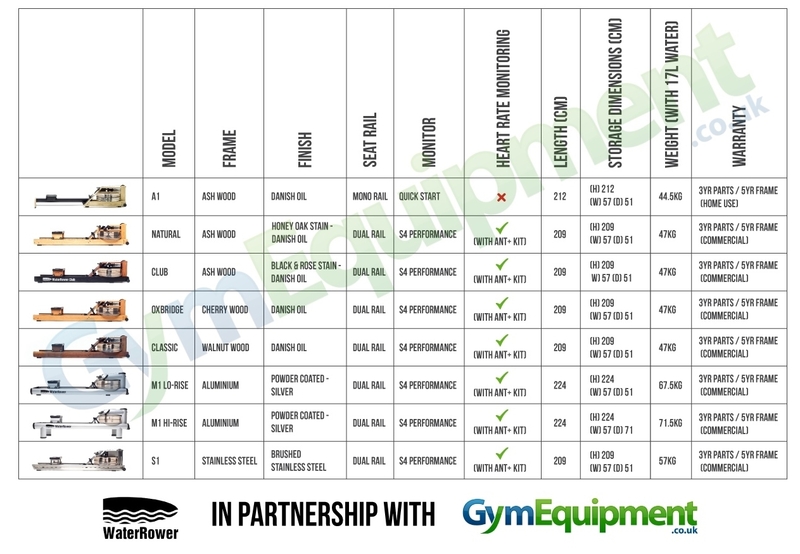 With a 3 years parts and 5 years frame warranty*, buying a waterrower will certainly prove to be a great investment for your health. Very small storage footprint for a rower - doesn't look out of place stored in a lounge or small alcove for ease. A 3 Year Parts and a 5 Year Frame Warranty! *Warranty upgrade upon customer registration.